waited for almost 2 months.. finally someone call me up to schedule a installation appointment. guess what, now i'm equipped with UniFi !!! hooray!! 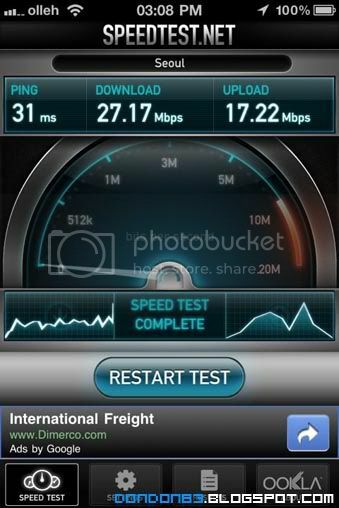 faster internet speed at last!!! more than 10 years with Screamyx , ops.. i mean.. StreamyX! from 512kbps upgraded to Mbps.. then not still stucked with Mbps.. finally. after today.. things will changed to 5Mbps . happy :) yeap.. i'm VIP5 package. i got more stuff on my table now.. main modem. 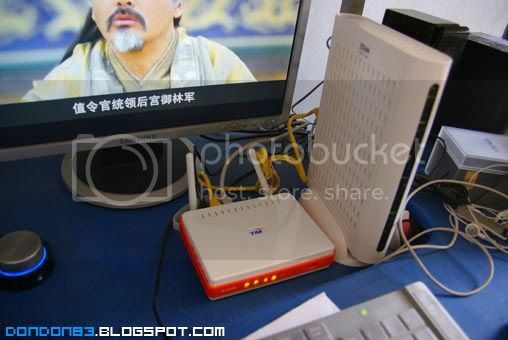 DSL modem.. Voip phone..IP tv device.. bah... i don't need phone and iptv. all i want is the speed!! let's check the speed through SpeedTest.Net. hmph.. not bad!! 4.83Mbps at first try! upload is way faster than my download speed. okay.. happy with my desktop.. let try it through my iphone! woot!!! faster than my Desktop?? eh? wow 10Mbps for upload? after a while i shared my benchmark result through Facebook.. i got a post and i'm tagged on a screenshot.. and the result... was stunning... it was cheapest and slowest package available in SEOUL!?... 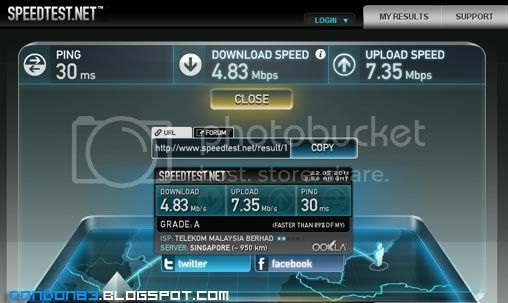 and cheaper than Malaysia UNIFI too..arrghh..
all these just benchmark. let try how it behave when come to real download.. yeah! still satisfy! 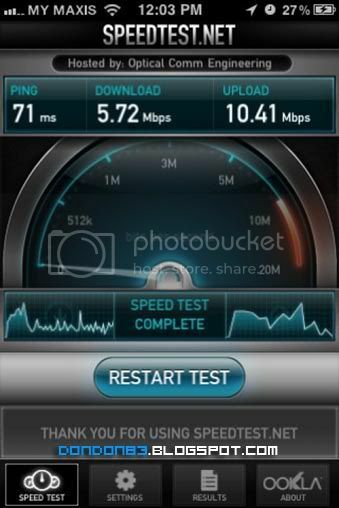 maxed out 5Mbps! HD,FullHD, BlueRay. wait for me XD. need bigger Hard disk now.